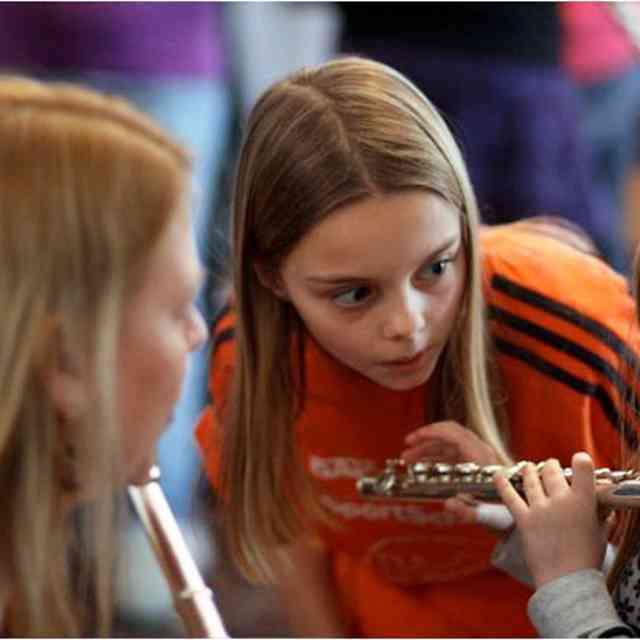 With the proper attitude and preparation, an institute can be a powerful investment in your child’s musical process, and can be a pivotal point in your family’s musical year. Just as important as your musical preparation is your approach to the new situations you will experience. Be open to meeting new people and new ideas, and remember that your child is looking at you and your responses. Lead with a smile. Here are a few other suggestions for getting the most from your family’s institute experience. Have an open mind. This can be the key to an enlightening and exciting institute. Be ready to try new ways of doing things; be willing and eager to experiment with new ideas; be flexible! Not only will your institute teachers appreciate these qualities in you and your child, but your home teacher will appreciate learning from things you have learned at the institute. Suzuki teachers love to share with each other because we realize that everyone has something special to offer. You can function as a receiver and a giver between your home teacher and your institute teachers. Find your balance. Wonderful activities are scheduled every hour of the day. In order for you to stay fresh for your schedule and to pace yourself and your child through the week, find a regular “down” time, and don’t feel guilty! Arrive at each class early. Quietly open your case and get your instrument ready to be tuned. Use your tape recorder. You will be glad to be able to re-play lessons and classes when you get back to your room at night and to share them with your home teacher. Find a regular practice time each day with your child, but be efficient. You will probably have a little homework to accomplish for your classes, and you may need to review some pieces here and there. Re-member that you are as well prepared as possible at this point, so don’t get too in-tense about trying to fix everything at once. Think of the long-term picture-getting to the institute has been a big goal, but it is also a stepping stone for other events and performances at later dates. Remember to “put the kitty down before it wiggles.” Don’t expect younger children to make it through every class, every day. Let them curl up in your lap and watch for a while and return to the activity when they are ready. The other parents and teachers will respect you for your gentle sensitivity, and you will set a good example. Take notes. Parents, older students, and teacher trainees should take as many notes as possible. You will learn a lot this week and you will remember it best if you have notes to refresh your memory in months and years to come. Parents should take notes on all the children in the class, not just their own. Learn from other students. 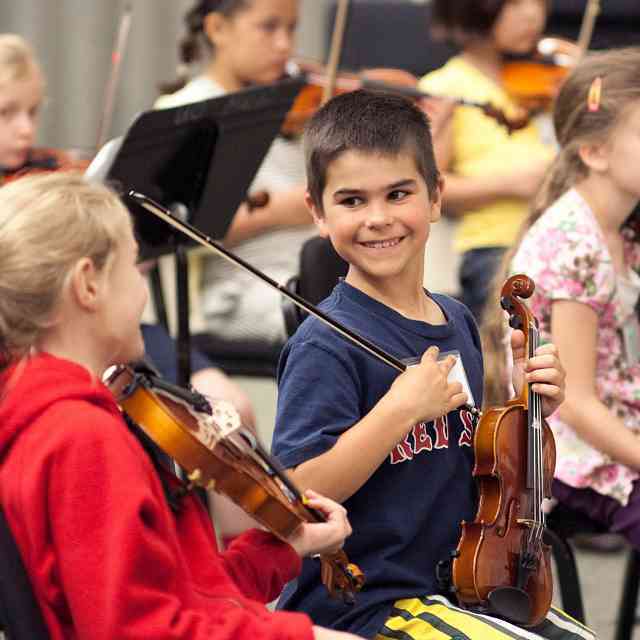 The instrument classes are intentionally grouped with four children to a lesson. Experienced teachers have learned that Suzuki’s instruction to have more than one child in a lesson allows each child and parent to learn from the others. The entire class is each child’s lesson! For that reason, both children and parents should observe the entire class and realize that what is said to one is said to all. Young children may not appear to be observing, but they will absorb everything if the atmosphere is calm and encouraging. Trust the teacher’s judgment. Please do not be dismayed if the time distribution of the lesson is not exactly equal. The teacher will use his or her own discretion to divide the lesson in the way most profitable to all the children. If one student is an especially good example of a particular point, the teacher may use that student to demonstrate for everyone. If a child is not productive one particular day, the teacher may choose to release the pressure from that child with the hope that the next day will be doubly productive. Some young children learn best by observing until they are able to do a task. So, please and don’t push or embarrass your child. Gentle exposure with systematic support always has good results. Support your teachers. Institute teachers try, in the space of the five days, to help each child improve his or her playing. One technique may be chosen for emphasis, or several may be covered, depending on what the teacher feels will be most profit-able for the individual student. If you don’t understand why the teacher is doing what he or she is doing, please ask. Different teachers stress different areas, so take ad-vantage of learning what the institute teacher feels is most important at this stage of development. Remember that there are many ways of doing things in music, so if the institute teacher shows something that differs from what your home teacher has taught, do not assume that one of them is wrong! Trust both teachers, and trust yourself, and you will gain the most possible from the institute. Support both teachers and be open to new ideas, realizing that the ultimate goals are the same—to help children grow in the love of music, to help them develop into fine performers, and to help them enrich their personalities through the study of music. Be generous with smiles and extend your friendship to others. You can do a lot to make others feel comfortable, even if you are new yourself. Enjoy the journey through the days of the institute with your child and you will both complete the week feeling that it has been a worthwhile, happy experience. Previously printed in Minijournal 1998. Reprinted with permission. Copyright © 1998 Suzuki Association of the Americas, Inc.
Pamela Bath Kelly has been a Suzuki teacher for over 35 years. She was one of the very first Suzuki children in the United States, and through high school, studied with her mother (SAA Teacher Trainer) Joanne Bath. 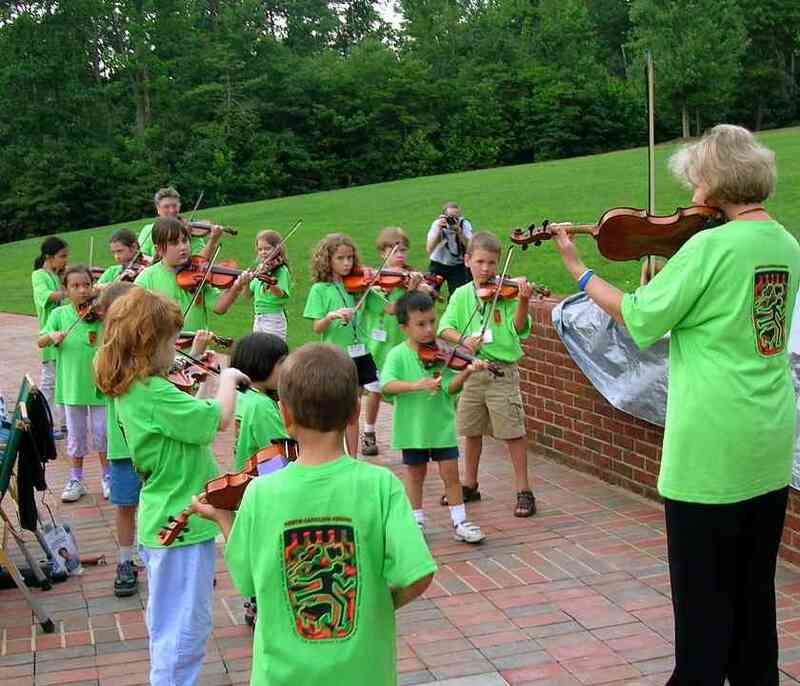 Pamela is Director of String Ensembles at the Ravenscroft School in Raleigh, North Carolina, where she conducts the high school and middle school string orchestras, directs the small chamber ensembles, and teaches private lessons. In addition, she maintains a private Suzuki studio in Dunn, NC, which recently celebrated its 25th year (Cape Fear Valley School of Violin). 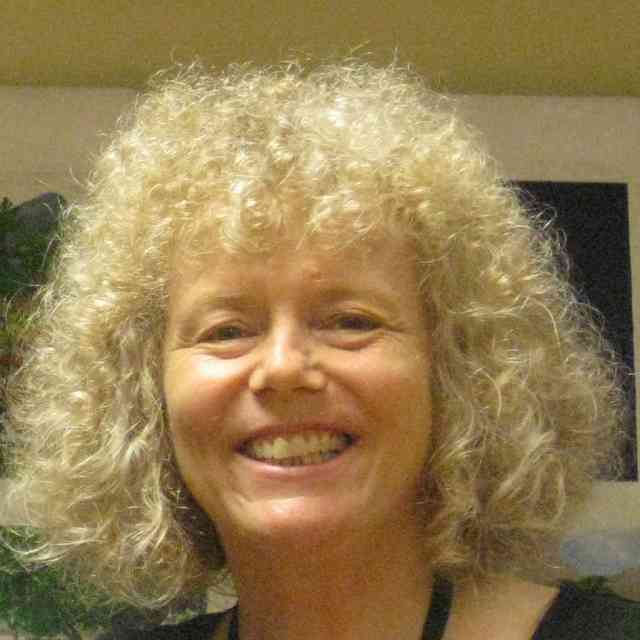 Pamela has taught at the North Carolina Suzuki Institute since it began in 1983. Most recently she has taught at Michigan’s Phoenix Phest Institute in 2010 and 2011. She is active as a clinician at Suzuki workshops and institutes, and particularly enjoys mentoring young teachers. She is a busy freelance performer and appears regularly with such groups as the North Carolina Symphony, the Carolina Ballet, North Carolina Opera, and the Chamber Orchestra of the Triangle. Pamela is the mother of 3 children, all of whom have studied Suzuki violin with her. Mrs. Kelly teaches violin, viola, cello, bass, and guitar, and directs ensembles on the elementary, middle, high school, and collegiate level. 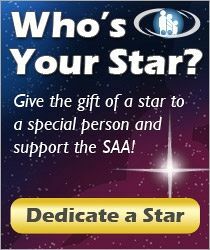 She is registered with the SAA for having completed all the SAA teacher training courses.